The problem with audio is proof. Or rather its absence. One can't prove superior sound. Try. Play someone a system you've spent ten years comparing and meticulously refining. You're convinced of its quality. But if that person doesn't like it, nothing will convince them. There's no proof that your system is better than theirs. This drives engineers batty. If they design the fastest race car, get the best driver and have just a bit of luck, they win the race. Posting the best time proves that their car was fastest. Zero ambiguity. But hifi is full of it. Ambiguity. And the other stuff. Naturally marketeers don't capitulate so easily. They exploit our human desire for proof and certainty with snazzy figures. With hifi amps that used to be power. More was better. Eventually that got ridiculous. Who really believed they needed 2 kilowatts? Then the game became a bit subtler. Now it was about total harmonic distortion or IMD. The more zeros behind the decimal point the better. Once that game was up—people soon realized they couldn't hear the difference between 0.0001% and 0.000075% THD—marketeers aimed for the still empty space in front of the decimal point. Hello sampling rates. 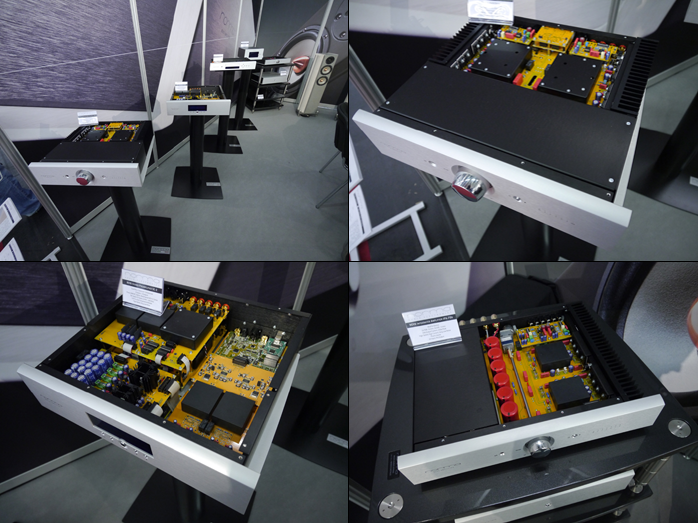 At press time we already had three D/A converters—Antelope Audio Zodiac Platinum, Gryphon Kalliope, exasound e20—which could do DSD 256 at 11.28MHz. No such software exists. Yet. No matter. It's basic psychology. Higher numbers win. Jim Ricketts of TMH Audio applies this type of proof again to the pre-decimal space but now amplifiers. He focuses on their slew rate and bandwidth. His comparison table lists Soulution's 710 and 720 models and the darTZeel CTH-8550. At 100kHz the first Swiss amp gets clobbered by the second Swiss which offers 1MHz. That one gets hammered by the Norma with 2MHz. 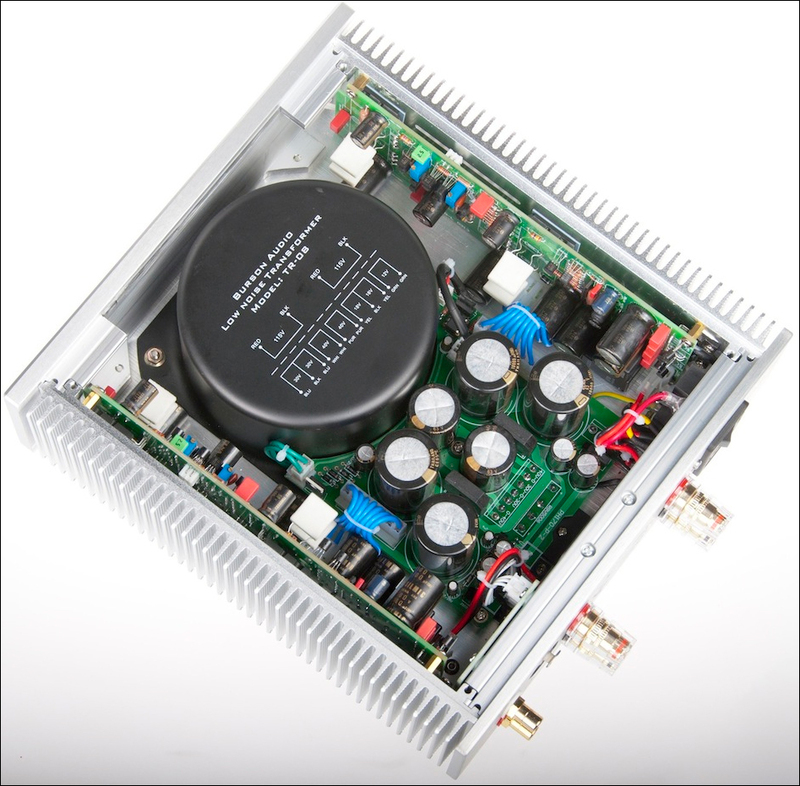 It also annihilates the darTZeel's 88V/μs slew rate with 175V/μs. Soulution's isn't available. Norma for office! What does slew rate sound like? It's all very suggestive, no explanations required. Like that 2MHz is just an octave over 1MHz. Or that human hearing cuts off at 20kHz. Two bands below. Why would you want such excessive bandwidth? Never mind. The biggest numbers win. Welcome to hifi marketing 101. Flip a page in Jim's book and you get to the equally Italian Alef brand. That weighs in with 6MHz bandwidth. "Think Soulution but executed at a much higher level!" That's how he puts it with a capitalized emphasis. Naturally Alef didn't make it on his Norma comparison chart as this might steal sales from himself. Plus Alef's 180μs slew rates—just five more than Norma—could raise uncomfortable questions when this type of math finally hits its limits. Are we dazzled yet? 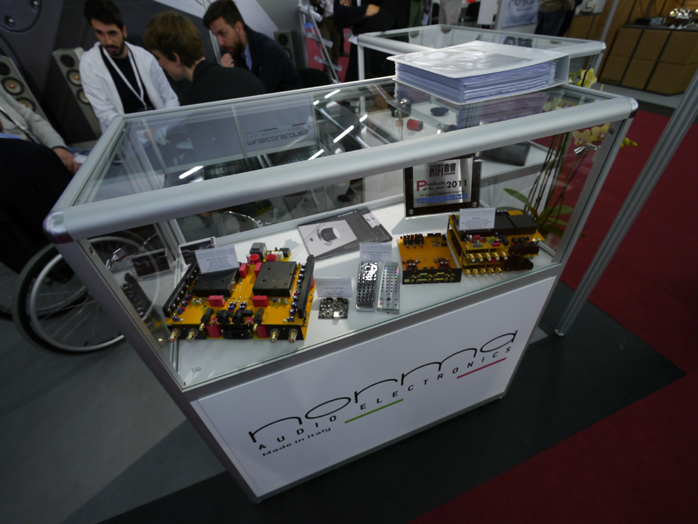 Having talked with Norma Audio's Enrico Rossi through a translator at Munich HighEnd 2013, I'd come away very impressed. His bonnet-up gear oozed obvious quality and showed very well-considered featurization, immaculate industrial design all accompanied by what seemed to be very fair Euro pricing. Without turning his uncommon specs into any primitive marketing stunt, Enrico had solid design reasons and was most happy to explain them. Because two other wide-bandwidth amps—Bakoon's AMP-11R, Job's 225—had already suggested particular sonics I'd grown very fond of, I spotted a perfect opportunity to learn more about this school of circuit design; and an excellent chance that Norma's €4.950 integrated with a solid 140/280wpc into 8/4Ω would fall into the Bakoon/Job class with more useful power and more useful features (remote control, MM/MC phono, configurable outputs). That'd surely be a story worth telling.